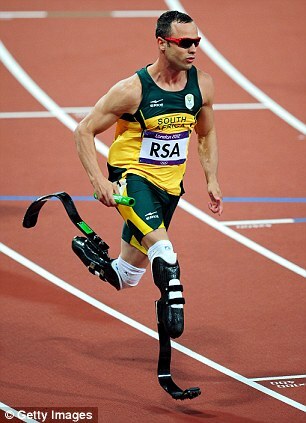 South African police investigating the shooting of Reeva Steenkamp by Oscar Pistorius have sent a detective to Apple’s headquarters in the U.S. to unlock the paralympian’s iPhone. They believe the device could contain facts vital to piecing together what happened the night the 29-year-old model died. 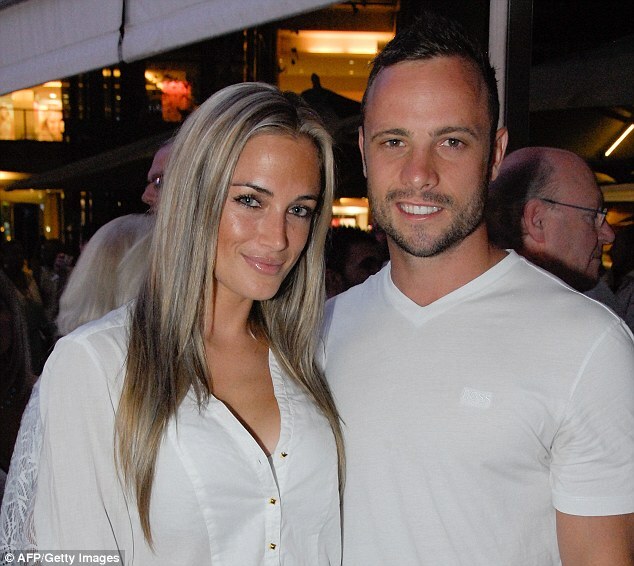 Pistorius, 27, also known as the Blade Runner, has admitted to shooting his girlfriend, model Reeva Steenkamp, at his Pretoria home on Valentine’s Day last year, but has said it was a tragic accident in which he had mistaken Steenkamp for an intruder. Pistorius claims to have forgotten the four-digit passcode needed to unlock the phone, found on the bathroom floor of his Pretoria home, along with three others. 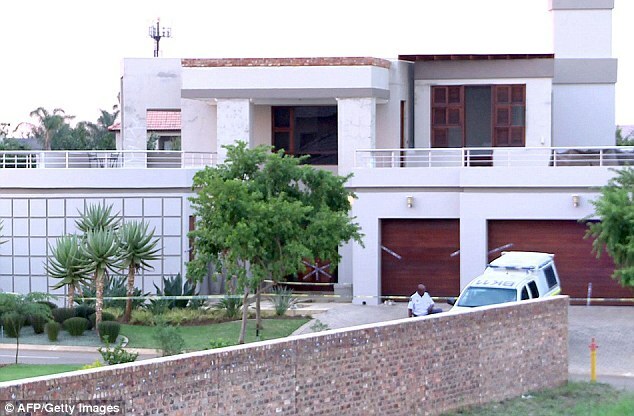 He was allegedly looking at pornographic websites the night his model girlfriend Reeva Steenkamp was shot and killed, it was reported in the South African media last week. 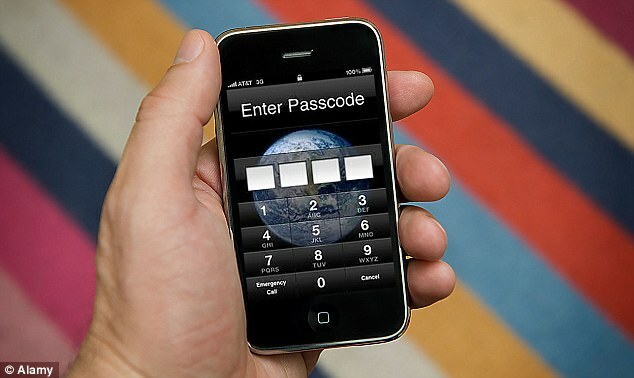 Nathi Mncube, a spokesman for the National Prosecuting Authority, told the Daily Telegraph: ‘We have sent officials who are meeting with Apple today with the purpose of unlocking an iPhone. ‘We followed the mutual legal assistance processes. 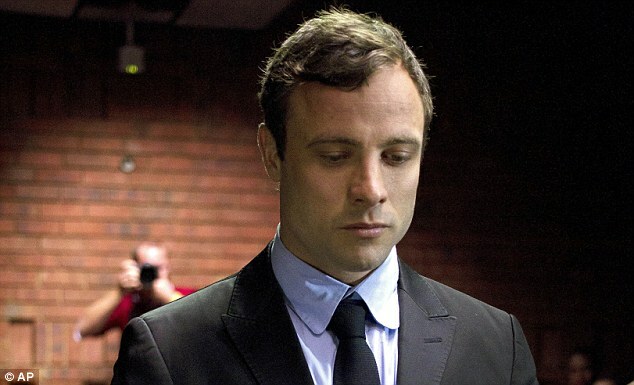 If convicted of murder, Pistorius (left at London 2012 Olympics) faces up to life in prison. The trial is due to start on Monday. 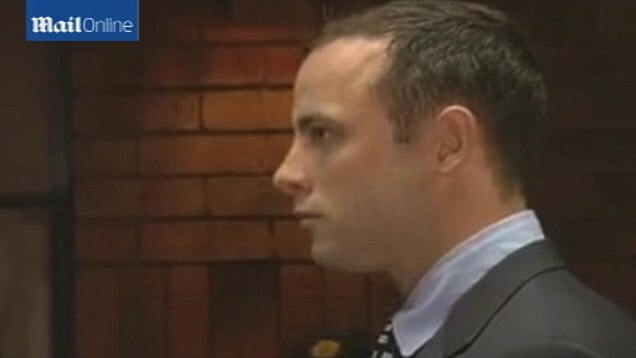 Pistorius, who competed at the London Olympics in 2012 against able-bodied athletes, told a court he had thought she was an intruder when he fired four shots from a handgun through a bathroom door. Three hit Reeva and she bled to death. On Tuesday a South African judge ruled that the murder trial of Oscar Pistorius can be televised, but the testimony given by the double-amputee Olympian himself cannot be shown. If convicted of murder, he faces up to life in prison. The trial is due to start on Monday. In a televised ruling in a Pretoria high court, Judge Dustan Mlambo said it was vital that impoverished South Africans who feel ill-treated by the justice system be given a first-hand look at the trial. ‘The justice system is still perceived as treating the rich and famous with kid gloves whilst being harsh on the poor and the vulnerable,’ he said.